According to the Nigeria Prison Service (NPS), over four hundred and sixty-five prison inmates have been enrolled into different disciplines, at different campuses of the National Open University of Nigeria (NOUN). Jaafaru Ahmed, Comptroller General of Prison disclosed this on Thursday, Nov. 8 2018. He also disclosed that the Service won multiple International awards for promoting education and campaigns on prison decongestion. 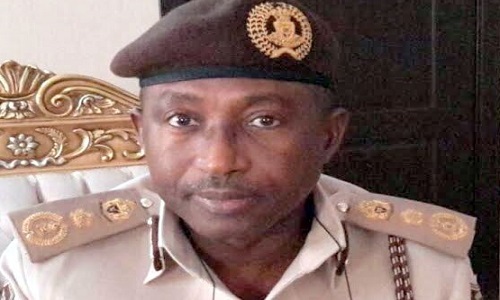 According to Legit.ng, Ahmed, while handling over the awards to the Minister of Interior, General Abdulrahman Dambazau at a ceremony in Abuja said “As we speak today, we have over 465 inmates in various disciplines, 23 are doing their post graduate degrees. “We also have an active collaboration with the College of Education, Yewa where we have also graduated scores of inmates. “With the cooperation of NOUN, the Prison Service has won 2018 UNESCO/Confucius Prize for Literacy, beating seventy other entries from across the world to clinch the coveted prize at a ceremony in Paris, France and awarded a USD20,000 cash prize, medals and a diploma as well as accorded an opportunity to visit China, the birthplace of the Chinese Educationist and Philosopher, Confucius. “The service also won 2 SABRE Awards of Africa Public Relations Association (APRA) for Public Education and Public Sector in Gaborone, Botswana as well as Golden World Awards of International Public Relations Association on Crises Management for campaigns on Prison Decongestion by tackling the plight of awaiting trial inmates (ATI). “These prizes are made possible by the Prisons Service in terms of providing educational and humanitarian services and effective collaborations with our major stakeholders including the media especially in the improvement of the welfare of staff and inmates,” the Comptroller added. In his remarks, General Dambazau commended the management of the NPS for its accomplishments in prison reforms.